Early this week, kindiegames came by after noticing that our forum keeps popping up in RPGMaker searches, so he decided to come by for a visit. He was greeted by the resident werewolf, the lazy scripter and the fox in the music box. We got flooded with birthdays this week as one day saw the birthdays of cerveaux[/Highlight][/Thread] and OTM5000. Only days later, both MetalRenard and Charlie Fleed came by with birthday cakes for [Thread=3020][Highlight]DerVVulfman, which was later followed the birthday belonging to Sujabes467. After that, we had sudden outburst of birthdays as chaucer and celleZall had a day to share together. But that was pale as the birthday celebrations continued this week with explocion200, JasonZeno, jccaton, Goleone, grecias, jazzkomp, lowcku and Cecil_Harvey_358 sharing the same birthday. And this Sunday, we had a birthday celebration as ilia12345, Kirito and CrabSoda all shared their special day together. Has it been a while since you've talked to your fellow members here in Save-Point? Do you need to catch up with a long lost friend? Before you do, you may want to find out What's on their mind before sending them a message, as DerVVulfman is feeling pretty encouraged after seeing a pic including his preferred avatar while MetalRenard noticed a popular Disney-altered character missing. Of things missing, KDC'S Flash drive that vanished a month ago has now reappeared. After looking for some Sci-Fi TV to watch, a recent airplane issue made kyonides wonder if the Doctor would make an appearance. But DerVVulfman said the last time he saw the Doctor and a plane together, the Doctor decided to go missing not long after. And this Sunday, KDC and kyonides had thoughs about the commercials that will be shown during the Superbowl. Is Winter coming to an end? If you aked KDC the query of "What are YouTubing? ", he watched Punxsutawney Phil make his annual prediction, though the video that KDC found might not show in every country. If you were coming by to find out What's up with your fellow RMers in the community, the discovery that the Transform Enemies merely changes an enemy's appearance and not its stats made DerVVulfman contemplate that he work out an option for said enemies or suggest to kyonides to work upon such a system. However, kyonides was already ahead of the game as his KEW XP and Kolloseum States systems has that feature built in. 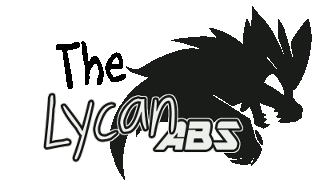 After that, DerVVulfman relayed that his Lycan ABS now has a fully functional action delay system he dubbed the Stance system, one that currently works for both weapon-based and item based attacks, with his next job being the immense skill attack system. This week, KDC decided to test out the two engined he has in mind for Fighting Festivalis, so he can see which would work best. The two engines being considered is Unity and the Unreal Engine, of which the Unreal Engine is the first he plans to test. Meanwhile, he also relayed that his game will allow you to unlock characters within the game, this feature not requiring any microtransactions nor download content.. And look forward towards unlockable campaigns. Quite often this week, kyonides updated his KyoDiscounts system for RPGMaker XP. He redesigned the appraisal system thanks to some input from Maracuyá, included script call capabilities for shop IDs and the like, repaired a couple of bugs and added a window to reveal armor/weapon stats when purchasing, permits the creation of unique and limited quanity items within a project, and some cameo appearances by some members. Of this, Melana said that kyonides nailed her personality perfectly, though noted the included text files were solely in Spanish..